Introduction: Gaelic Athletic Association (GAA) is an amateur and international Irish organizational body that promotes traditional Irish sports and culture in Ireland and across the globe. The GAA focuses on promoting Gaelic games such as Gaelic football, handball, rounders, hurling, camogie. The GAA also promotes the Irish language, dance and music. The GAA moto is to ‘Be there all the way’ and has its headquarters in Croke Park, Dublin. There are more than 500,000 members in the GAA and the majority of Gaelic sports are governed by the GAA Rounders National Council. 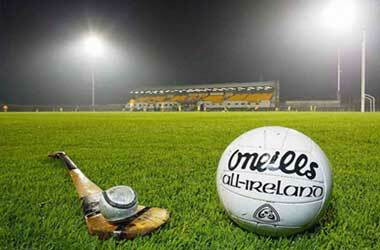 The most popular of all GAA sports is Gaelic football which draws the largest crowds in Northern Ireland. Although GAA has its roots in Ireland, it is popular throughout the world and a number of countries such as Australia, Austria, Canada, Japan, New Zealand, Malaysia, United States, France, Germany and Great Britain play GAA sports. Canada Betting: There is a niche market in Canada that loves to watch GAA sports and also place bets on different Gaelic sports. They rely on sports betting websites such as Betfair, Bet365, William Hill, Paddy Power and 888 Sports to place wagers on GAA matches. These sports betting websites offer their services online and via mobile sports betting apps to enable betters to make bets while on the go. The mobile betting apps are compatible with Android and iOS platforms. The range of bets offered by these sports betting websites depends on the type of GAA sport that the better wants to bet on. Most GAA matches usually have home, draw and away betting options. Some of the featured GAA tournaments that are covered by these sports betting websites include All Ireland Camogie Championship, All Ireland SHC, All Ireland Club Hurling, Fitzgibbon Cup, NHL Division 1 and all Munster Senior Hurling Championship. GAA in Canada: Although numerous countries follow and play GAA sports, there are no international tournaments that follow traditional Gaelic rules. When different countries compete in Gaelic sports, the rules are adjusted to reflect two similar sports. The Canadian GAA is the regulatory body for all Gaelic games that take place across the country and is one of the 30 plus regional GAA executive boards in the world. Ladies Gaelic football, men’s football, hurling and camogie are played all over Canada, especially in places like Toronto, Edmonton, Calgary and Vancouver. The Toronto GAA and the Western Divisional Board also oversee Gaelic games in their respective states and reports to the Canadian GAA. Read up on the teams and players who are participating in the events and check their last 5 performances. The Gaelic Athletic Association (GAA) promotes traditional Irish Sports such as Hurling, camogie, Gaelic football, handball and rounders. 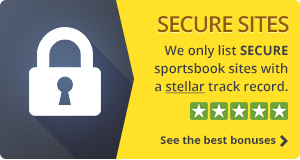 The sport of Hurling is one that attracts a dedicated following, and whilst most people like to watch this sport, when it comes to getting a little more excitement you can now place a huge array of GAA types bets and wagers. So if you fancy spicing up your viewing pleasure by placing a Hurling related wager then we present to you the Betting.ca Guide to GAA Betting. What Data Should I look for? What are the Top Events? Are there any rules I Should Keep an Eye out for? It is the weekly matches that make up the GAA Football season that are going to attract the largest number of wagers, however being able to track and compare odds on these matches can be something of a nightmare as not all betting sites offer GAA betting markets, and as such you may be forced to take whatever odds you see offered on the teams you are looking to win their respective GAA matches. You really will be able to put your skill and judgement to the test if you opt to place a GAA wager online, as there are quite a few unique types of wagers on offer at any of our featured betting sites. As such you can bet on the first players to score in any up and coming match, the last player to score and also try and predict which team will either win the match or which team will be leading at half time or both at half time and full time! Please take a look at each of our showcased GAA betting sites below for when you do indeed visit their respective websites you will be able to view and see all of their current GAA Hurling betting opportunities, of which there are always a great number of them on offer! Why not fill your boots with all of the free bets and free bonuses that are currently on offer at all of our top rated and licensed online betting sites listed below. You will of course find more than enough ways to bet on GAA at each and every one of them and all of them offer fast payouts, and easy to use betting interface and excellent customer support should you ever need it. Bet365 – Bet365 offer you a one stop shop for all of your betting needs, and as such are offering a 100% match bonus bet that you can place on all sports, including Hurling. Although there are a great deal of bets you can place, Bet365 explain what each bet does and all requirements so you’ll never accidentally place the wrong one. Ladbrokes – Ladbrokes have been going since the day dot when it comes to gambling, and as such, every possible bet going can be placed, and to help you get off the starting mark, they are offering all Canada based clients up to C$120 in free bets. These can be used for nearly every sports occasion, however, should you want to place some wagers on the Hurling, and you can with this highly generous bonus. Party Bets – You are always going to be showered with extras when you become a customer of the Party Bets betting and for a limited time only you can claim, as a new player a 25C$ free bet, checkout their website for full details, but be quick! Betway – Betway have recently rolled out a new bonus for new members, and this is a C$50 free bets bonus. This extra cash can be used on any sporting fixture including the Hurling, and as such you could see yourself curling your way to a small fortune. 888 Sport – As far as bonuses go, 888Sport have it covered, offering a very apt CAD88 Free Bets bonus, you’ll be able to place bets on the hurling and on any other sporting event. Actually, should you really want to, you could probably wager on a chess tournament or on whether it will snow at Christmas! BetFair – The BetFair site is the simplest betting website we’ve seen. Offering everything in plain English, they offer to you a generous, no obligation CAD20 Bonus. This can be placed on any sporting occasion, and should hurling be your thing, you can wager on the outcome with your bonus. Simply sign up and deposit some funds in your account to be eligible. Betdaq – An amazing amount of free cash is going to be coming your way if you opt to sign up to the betting exchange that is offered by Betdaq, and for a limited time only everyone who does can claim a rather tasty and certainly not to be sniffed at CAD200 in free bets. As always we would like to make you aware that all of the GAA betting bonuses and GAA free bets that we have showcased to you above are subject to change at any time. Whilst here at the Betting.ca website we always update the offers and special promotions as quickly as possible, you ought to visit the website of any betting site mentioned above to confirm the offers are still indeed valid. Gaelic games are team sports and as such they depend on the form and health of their team members. Thus, keeping track of recent performances is your best approach, but also any changes to the formation or recent injuries. Other factors you should pay attention to are head-to-head comparisons, news of club misfortunes, or any other relevant info that can help you find out if one team has any advantage over the other. Also, in the case of rivaling clubs, the home field factor can play a significant role, as the crowds are at their fiercest in these moments. The key approach to take when betting on the GAA is to learn the games well. Although very similar to other sports, Gaelic games follow different rules that can make a world of difference to you as a bettor. It’s also good to take a fixed betting system if you’re new to the sports. Your best strategy will also depend on what bet type you choose. For example, if you plan on playing match bets you will mostly need to focus on overall team performances. But with handicap bets, your preparation becomes an entirely different thing. 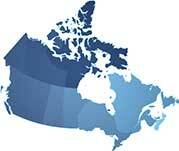 Most beginner bettors in Canada usually go for the match bet, since it’s the easiest to understand and use. However, match bets can also be less profitable in the long run as well as not profitable at all with some betting sites which enforce the “push” rule. The handicap bet, on the other hand, is the most popular option for more experienced bettors, especially since it offers great value in backing up weaker teams. Other than that, the outright winner bets are also a good option for those who want to use early odds for bigger profits. The GAA hosts two major events, which is where most of the GAA betting happens. The All-Ireland SHC or Senior Hurling Championship is the first event and it is played through the summer and beginning of fall. If you know the game well, this event has plenty of options for making money. On the other hand, if you want to stick to more familiar grounds, you can also bet on the All-Ireland SFC, or Senior Football Championship, which comes once a year and offers plenty of betting choices as well. Other than that, there are plenty of smaller championships, but you might have trouble finding them at your sportsbook. The main rules you should look out for is the void rules, which differ from one site to the next. In general, bets will be void if they are postponed to a different date or there’s a rotation in the home/away team. Another rule is that extra time is rarely counted, unless specifically stated.